Home » Blog » Historic Preservation Talk tonight, great article in the Post… and please vote for Best of DC! Historic Preservation Talk tonight, great article in the Post… and please vote for Best of DC! From 7pm- 9pm tonight, Wed. February 11th, Forklifters Ruthie M. & Nick S. will be at Historic Takoma to talk about reuse and old homes! We’ll be discussing how historic preservation, conservation of natural resources, and Community Forklift all come together with the creative use of unique and wonderful salvaged materials in our homes. View renovation ideas, share your own projects, and get inspired! Location: Historic Takoma, Inc., 7328 Carroll Avenue, Takoma Park, MD 20912. When visiting Historic Takoma, please walk, bike or take public transportation. Parking is available either in the public lot adjacent to the TPSS Coop, or in front of or behind the Carroll Avenue businesses that are accessed from Lee Avenue. Offered as part of Historic Takoma’s Home Renovation Series. Light refreshments will be served. Free. 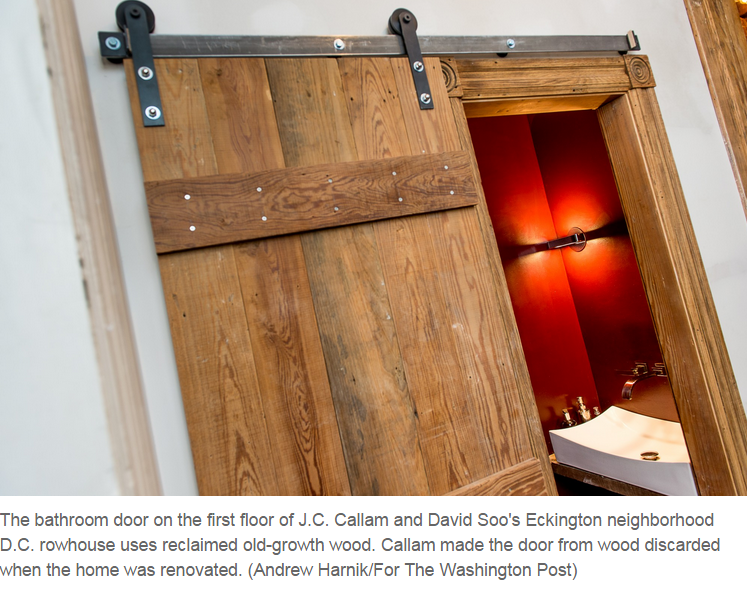 On the topic of preserving historic things, did you know we were mentioned in the Washington Post a few days ago? Amanda Abrams wrote a wonderful article about the value of old-growth lumber – check out the beautiful pictures accompanying her story! We were so grateful that she mentioned Community Forklift as well as our deconstruction partner, Details – we’re really proud that together, we can offer an alternative to the dumpster for gorgeous old wood! We have been able to reclaim and rescue more and more materials every year, and it’s all thanks to Forklift Fans like you. For example, many have you have voted for us every year in the Washington City Paper’s Best of DC contest. And each time we win, it means a ton of free publicity… which means that more contractors and builders learn about us, and begin sending donations our way instead of throwing out perfectly good materials. We would be so grateful if you would please vote for us again this year!